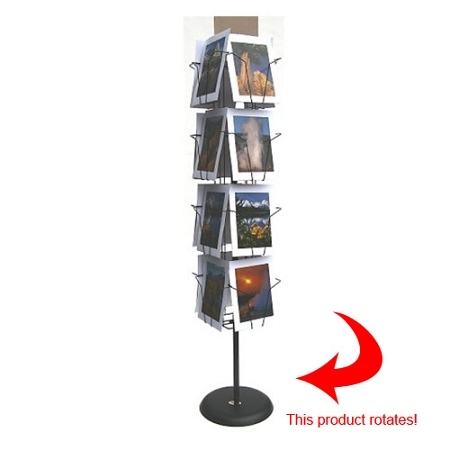 Model 16-9012 F is a portable vertical 16 pocket heavy gauge 9" wide spinner revolving wire display great for 9" x 12" art prints. FULL View Pockets - 2 1/4" deep. Also a great display for 9" x 12" vertical books. 16 VERTICAL PRINTS. Easy, no tool installation with a clip-in sign holder. White or Black powder coated finish. A trade show must. Actual Dimensions: 48x15x15 Weighs 24 lbs.